Kim Jong-hyun, member of the popular K-pop boy band SHINee, was found dead in his apartment last month. He appeared to have taken his own life. The 27-year-old star had multiple projects on the slate for 2018, including a solo album and tour with SHINee, and it sounds like both will go on as planned. On Friday, his label S.M. Entertainment shared a statement, revealing that Jonghyun’s solo album Poet | Artist, which was intended to release sometime in 2018 before his death, will be released January 23 digitally and January 24 physically. Hello. This is SM Entertainment. We’re letting fans who loved Jonghyun and his music know about his album release. 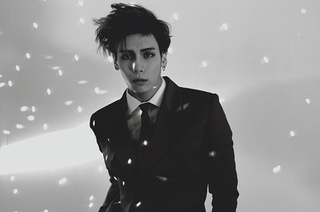 We’ll be revealing the album Jonghyun worked on last year, which was planned to be released in the new year. Jonghyun’s album ‘Poet | Artist’ will be released online on January 23 at 12PM KST, while the physical album will be released on the 24th. The MV will be released along with the digital release. We hope that Jonghyun’s heart is received by you all as he loved music more than anyone else and communicated through music. All the sales from the album will be given to Jonghyun’s mother as well as to those in need. Thank you. There was dubious reporting in the wake of Jonghyun’s death, including the publishing of his suicide note and final text message to his sister, just after police officially determined that he died by suicide. NBC Chicago also aired footage of another super-popular K-Pop band, BTS, in its news segment on Jonghyun’s death. As K-Pop’s star continues to rise both in the U.S. and internationally, let’s hope that it’s given the same level of respect as any other genre of stateside pop.